"You can never know too much" is a saying you hear all the time. Funny thing is, I have no idea where it originated, and neither do most of the people who continually say it. Nevertheless, it's a statement that very few would argue with. Thanks to the internet, gaining access to information has never been easier. You can seriously find anything on the web. Ever wonder how to use peanut butter to clean your dishes? Well now you can find out. 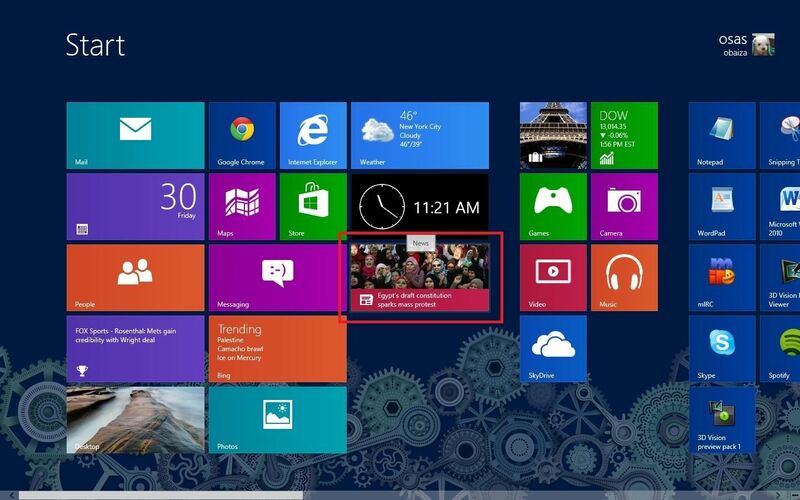 Like all app stores, the Windows Store looks to provide users with an abundance of useful and fun applications. In an era where newspapers are dying and cable news is barely bearable, people look elsewhere to find their news and information. And there are very few places as convenient as your own PC or tablet. 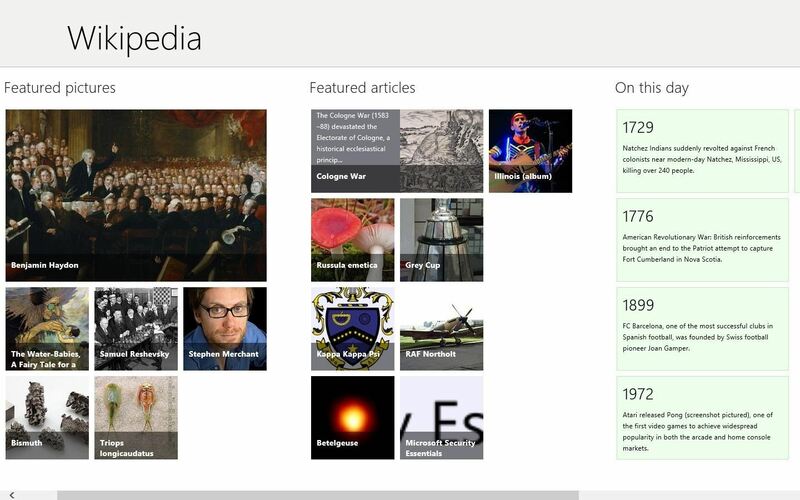 Here are a some of the best news and information apps that you can find in the Windows Store. 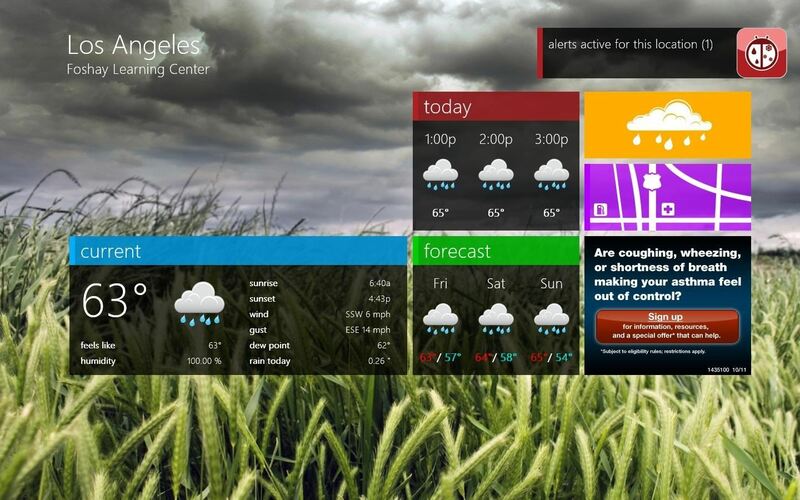 This is the standard application that comes pre-installed on the Windows Start Screen. 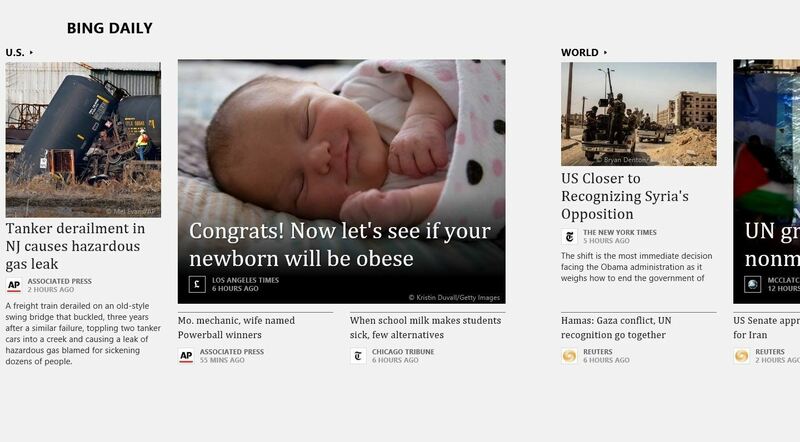 The Bing app is actually pretty fast and does a great job of aggregating content from popular news sources, like the Associated Press, Bloomberg, and the Los Angeles Times. The news articles and photos also look great on the screen. So, if you are looking for a quick, reliable, and clean source of news information, the standard Bing application isn't a bad place to start. A lot of people like to get their news from one source. Some people are used to reading a particular columnist, others may believe that their particular paper is more reliable or trustworthy. Whatever the case may be, a one source stop for news is very easy to find. One of the oldest and most popular of these news entities is the New York Times. The Times application runs like a well oiled machine. 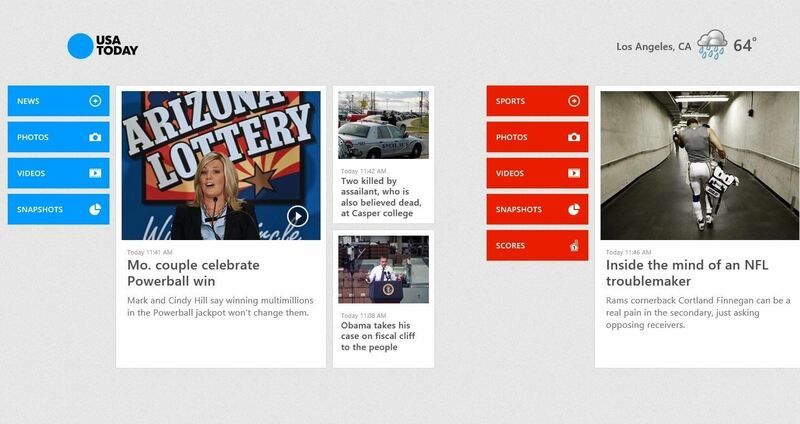 Popular categories like Sports, Opinion, and Politics are separated by category, and the most popular news stories are displayed up front. The only drawback, which will be the same for almost any digital publication is the pay wall. 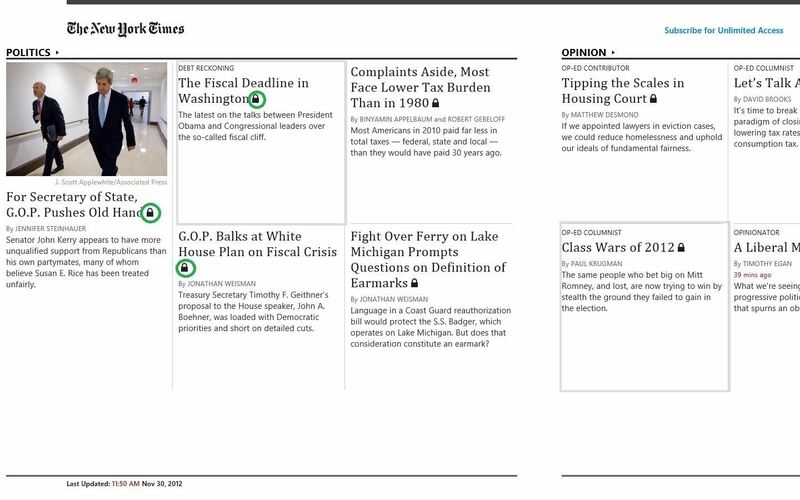 All articles with the padlock icon require a NYT subscription (but there are ways around it). A subscription gives you unlimited access to everything the paper has to offer. 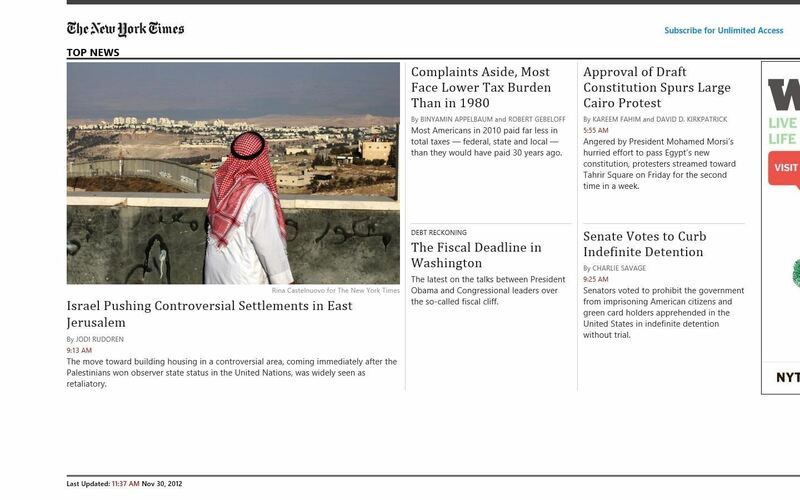 So, if you already have a NYT subscription, the application is wonderful to use. But it will still suffice for casual readers; there are plenty of articles available without a subscription. There's no shortage of apps that provide up-to-the-minute news, but I prefer USA Today because of the clean interface and easy to read layout. 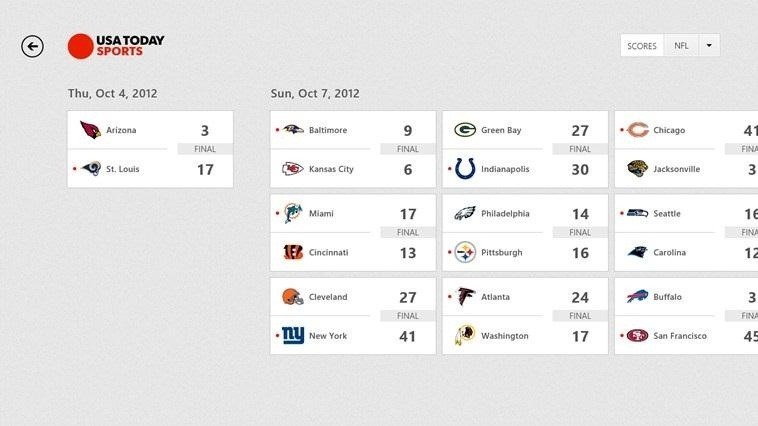 Each section has its own page, which makes it easy to find out what's going on in the Stock Market or how your team did in the game last night. Giving the app location permissions will also give you access to weather and a few local news articles. The Wikipedia application takes the greatness of the normal website and kicks it up a notch. You will still receive the same wealth of information and resources, but the app looks a lot nicer. You really can't go wrong with this application. Wikipedia is still one of the best places to find information on almost any topic, and the added functions like the ability to easily share or "pin" an article to read later make it even better. 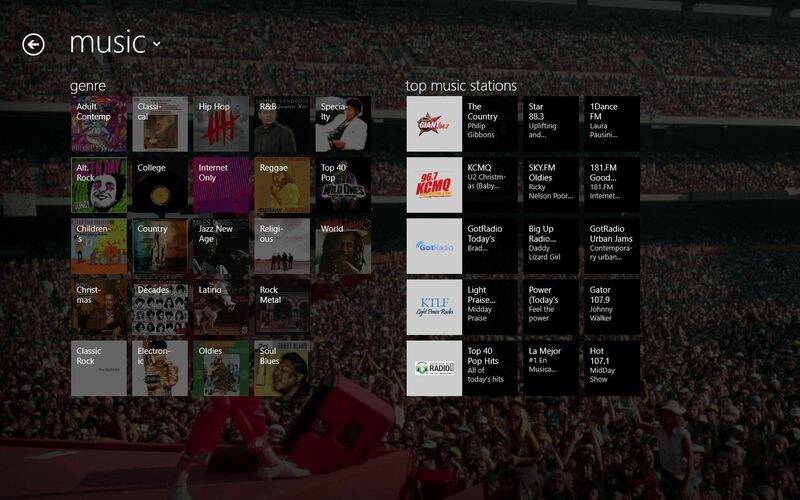 TuneIn Radio is an awesome application for news, music, and sports. It's got tons of stations and you can choose from over 2 million on-demand programs. You can select local stations or even access stations in the UK. It's a great place to get information and carry on with other tasks as the feeds run in the background, so you can do whatever you want and listen to your program at the same time. Can't believe this one is free! I used to think that weathermen were the coolest people on TV. Now, keep in mind that was before my obsession with Dragon Ball Z, and my interest in women, but I digress. WeatherBug allows you to unleash your inner weatherman by providing a ton of information on your location and forecast for the week. 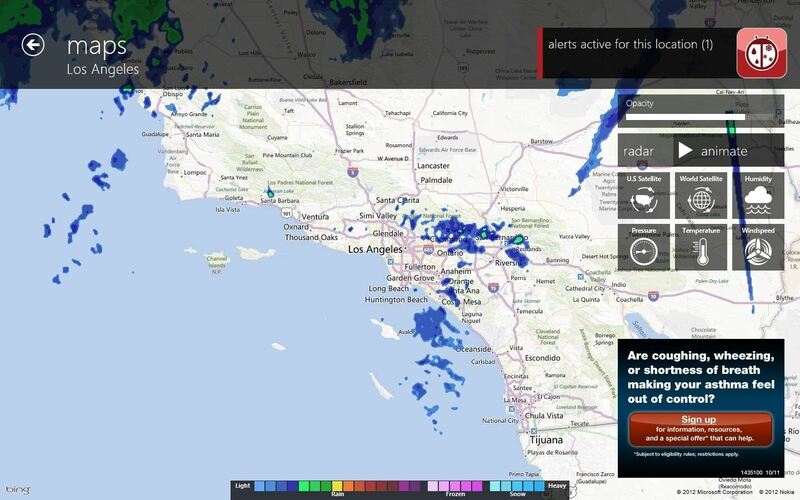 The map function is really cool, and provides you with that Doppler Radar imagery if a storm is coming your way. You can also see the pressure, wind speeds, and humidity. Now, see that alert message in the top right hand corner? WeatherBug lets you know of any warnings in your surrounding area, which is a really great feature so you don't get caught off guard. In my case it was high surf, but you never know when it could be something much more serious. High school chemistry may have been a while ago, but knowing your periodic table can still come in handy. Dropping a couple "Roentgeniums" or "Seleniums" during casual conversation always add a little high-brow. But in all seriousness, as I said in the opening paragraph, you can really never know too much. Elements make up most of the things we encounter in our daily lives, so what's the harm in know the name of a few of them? 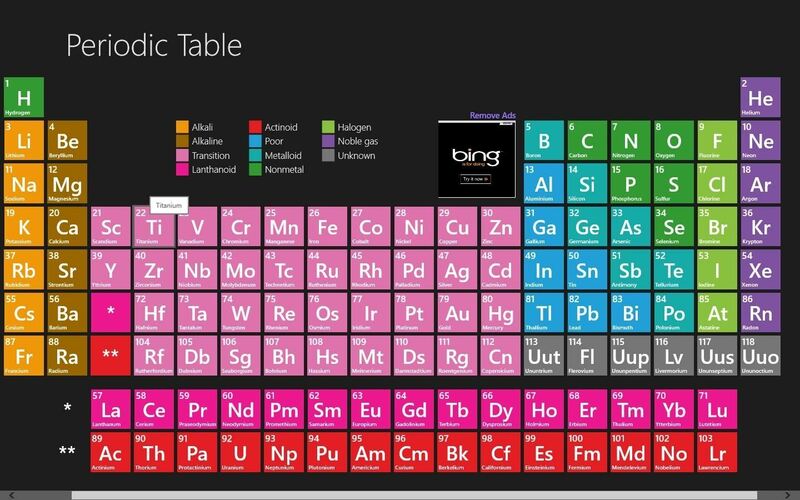 Periodic Table is a free application that brings the chemistry lab right onto you screen. 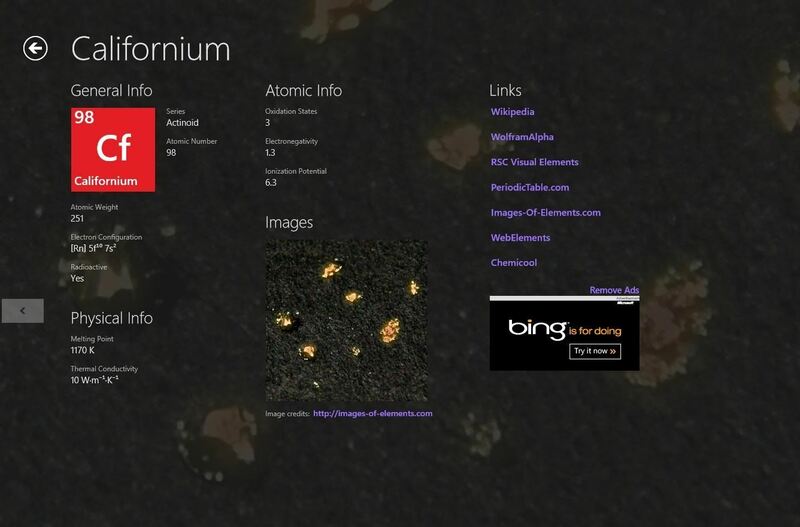 Each element has its own page with detailed information, images, and links to even more information. Periodic Table really is a great source for students taking chemistry or for anyone wanting to brush up on the subject. 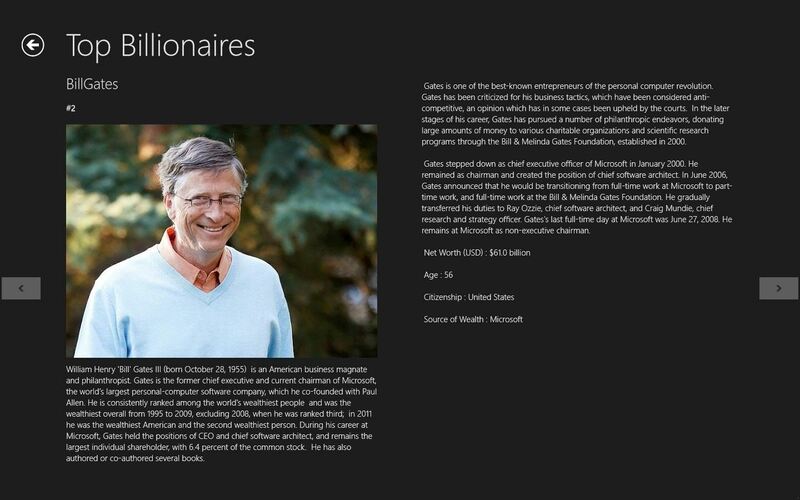 For those who aspire to greatness, the Top Billionaires application is a great piece of motivation. 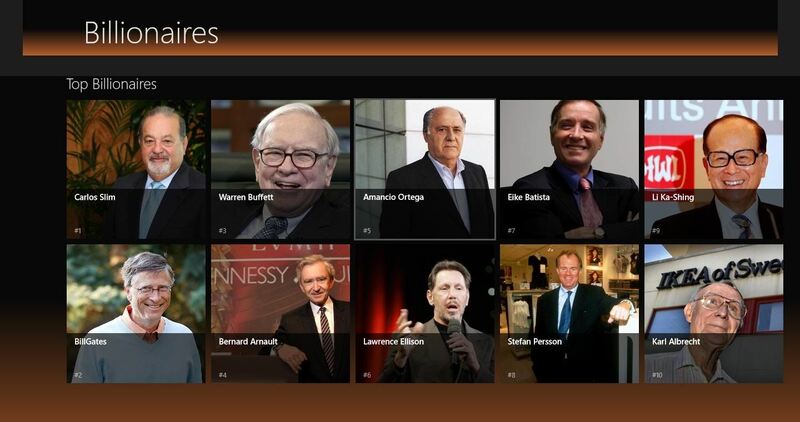 The app provides up to date information on the world's richest people. I mean, if you can't beat them—join them. Or, at least, read about them and pretend. Now that you've got all the knowledge you could ever want at your fingertips, if you get tired of reading and just want to sit back and relax, check out these 10 Free Windows Store Games. Have a favorite news or information app that's not on this list? Tell us about it in the comments.